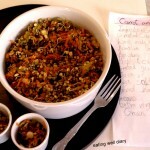 I have started a new category in my blog- with recipes of fellow bloggers that I have tried and really like. Kind of a re-blog, with my notes on it. 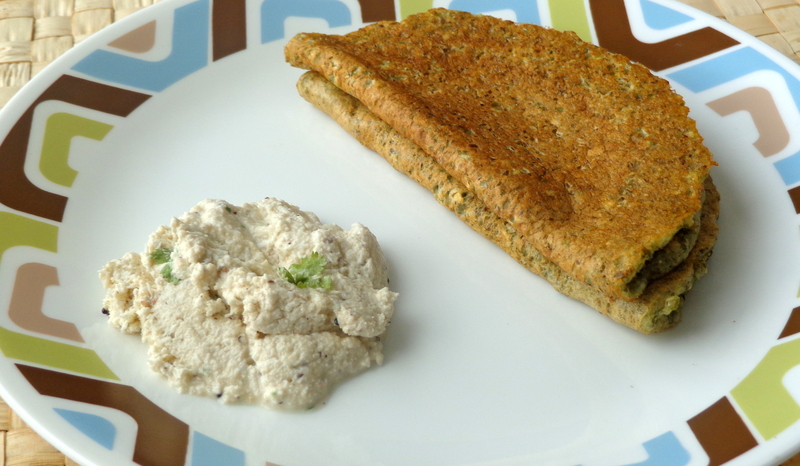 One of my favorite recipes that I often make and my family loves is the pancake or pesarattu made with sprouted mung beans. It can be made in a jiffy if you have the sprouts readily available. 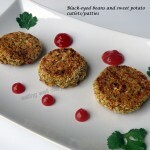 Thank you, Priya, I love this simple and healthy recipe of yours! 1. 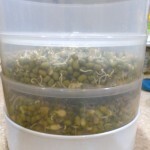 I use my sprouter to fully sprout mung beans, and store the sprouts in the freezer. When needed, I add hot water to it and use it right away. 2. I add a pinch of cardamom powder and one clove while I make the batter, for added flavor. The result is awesome. it’s my pleasure! the clove and cardamom are my mother-in-law’s idea. Maybe there is some ancient wisdom in the combination. yes, Elaine, can’t help giving credit for great ideas! Thanks for posting that. It is new to me, as is Priya’s blog. I hope to try it soon. Wow! I always add some rice also to Pesarattu…i see this is only moong. Should try it sometime.